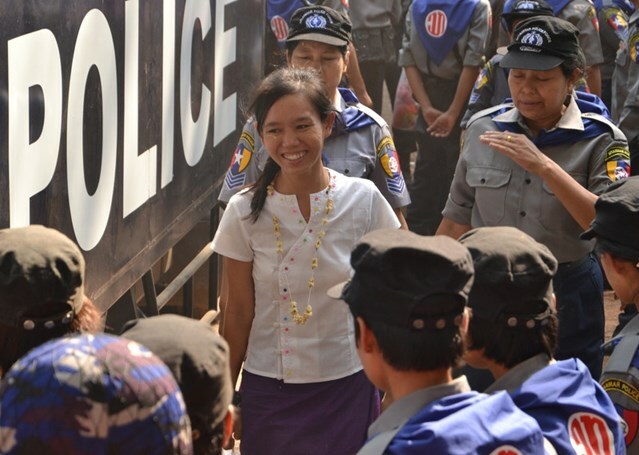 Phyoe Phyoe Aung, who was detained in Myanmar after helping to organize largely peaceful student protests, has finally been released more than one year on. Amnesty supporters across the world wrote more than 394,000 letters, emails, tweets and more for Phyoe Phyoe Aung during Write for Rights, our global letter-writing marathon. Phyoe Phyoe Aung at court hearings in May 2015. Credit: Private. The good news came after the new government in Myanmar announced it would work to release all prisoners of conscience as soon as possible. A court then dropped charges against Phyoe Phyoe Aung and scores of students involved in protests during March 2015. 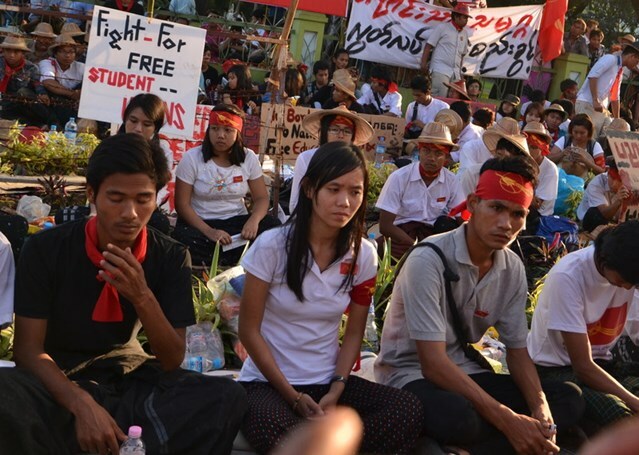 Phyoe Phyoe Aung (centre) during a protest against the National Education Law in November 2014. Credit: Private. Student leader Phyoe Phyoe Aung had helped to organize a series of marches against a new law in Myanmar, which students said limited academic freedom. In March 2015, as the protesters got closer to Yangon, Myanmar’s largest city, they were blocked by police who beat them with batons before arresting them. She and more than 100 other student activists were charged with a range of questionable criminal offenses. Some, including Phyoe Phyoe Aung, could have faced more than nine years in prison. 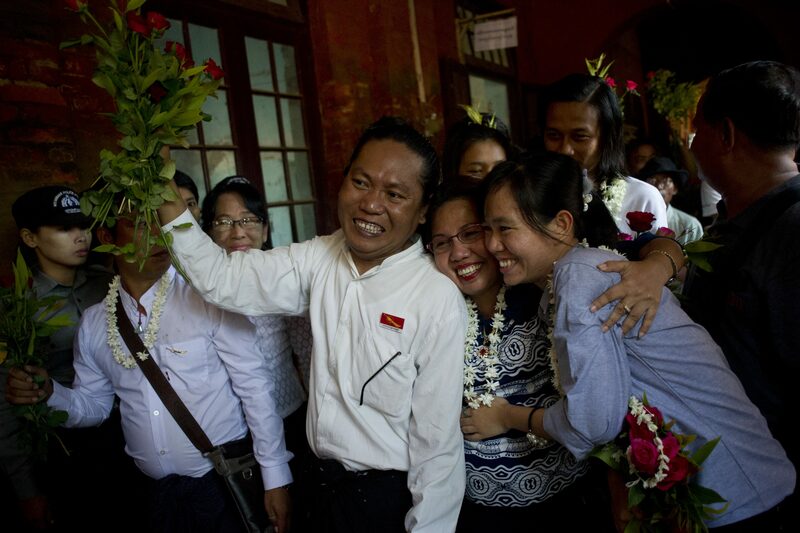 Phyoe Phyoe Aung’s release sends an encouraging message about the new government’s commitment to ending political arrest and imprisonment in Myanmar. But there is still more work to do, and Amnesty International will continue to campaign for the release of all remaining prisoners of conscience to ensure that no one is left behind bars. This entry was posted in Asia and the Pacific, Prisoners and People at Risk and tagged good news, Myanmar, people at risk, Phyoe Phyoe Aung, POC, prisoner of conscience by The Editors. Bookmark the permalink. Aung San Suu Kyi Finally Free! What a relief to hear of the release!!! Thank you for letting the world know.